The 2019 financial plan public consultation period has closed, and we are not collecting any responses at this time, but feel free to explore the tool as much as you wish. Welcome to Delta’s Simulated Budgeting Exercise! Your participation in this exercise allows you to experience the kinds of decisions City Council faces when developing the annual budget, while providing a breakdown of where your tax dollars are allocated based on your home’s assessed value. In your view, what are the most important issues facing our community that should receive the attention of Council? Learn more about the 2019 Financial Plan on our website. The graph and descriptions below illustrate how 2018 property tax dollars were distributed, based on an average change in assessed residential property value. City services provided by Delta property taxes are the focus of this budget exercise. Utility services such as water, sewer, and solid waste are separately funded by utility fees, not through property taxes, so those services are not covered here. Delta also collects taxes on behalf of other agencies, as shown below, but their services are not included in this simulation. To find out your personal breakdown of property taxes, enter your property assessment value as found on your 2018 property tax bill or BC Assessment notice, or use the average residential property value in Delta of $946,000. Move the sliders to the left or right to simulate an increase or decrease for each service category. You will see the total property tax dollar impact of your changes. 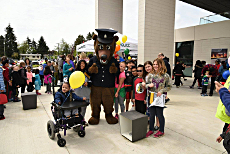 Delta Police Department (DPD) continues to serve Delta citizens, businesses and visitors with a "no call too small" philosophy, which is supported by the Delta Police Board and City Council. Delta continues to experience an overall drop in crime, and in 2018, the Crime Severity Index reached a historical low. In 2018, Delta Police introduced Integrated Communications and Tactics (ICAT), which is designed to help officers de-escalate critical incidents and reduce the need for using force. Delta Police has the highest ratio of trained police officers to population in Standard Field Sobriety Testing and Drug Recognition Expertise in British Columbia. This ensures that there is always a police officer available on patrol to investigate and enforce alcohol or drug-impaired driving. Move the slider to adjust your property tax funding for Police Services. 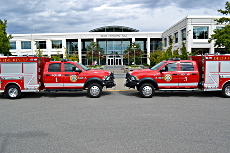 Fire and Emergency Services provides 24-hour emergency response for fire suppression, hazmat, motor vehicle incidents and medical pre-hospital care, as well as fire inspection services, public education, and emergency planning to Delta’s public, business, and community facilities. Delta is building a new state-of-the-art Fire Hall No. 4, Emergency Operations and Training Centre at Boundary Bay Airport. The new facility will open in Spring 2019 and will enhance the City’s operational readiness and community preparedness. Delta invests in the construction and maintenance of roads, sidewalks, bridges, underground utilities, flood protection, drainage, civic buildings, recreation facilities, sports fields and other capital assets. 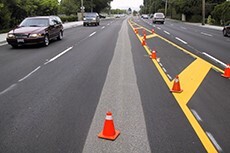 Construction and Infrastructure include the Neighborhood Road Improvements Program (NRIP), Civic Buildings Program, and base capital funding across departments to provide equipment and resources that enable Delta to meet the needs of the community. In 2019, Delta is allocating funds toward the replacement of the sport courts at Annieville and Chalmers Parks as well as resurfacing at Endersby, Mountain View, and 8A Avenue Parks. Sport specific lines will be added to the court surfaces to allow for pickleball and tennis. Move the slider to adjust your property tax funding for Construction and Infrastructure. 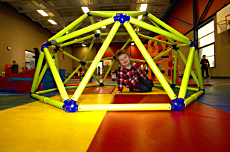 Recreation and Culture involves the delivery of over 13,000 annual registered and drop-in events and programs, as well as the management of public spaces including pools, arenas, gymnasiums, in addition to arts, seniors’, and fitness centers. In 2018, Delta successfully applied for accessibility grants through the Rick Hansen Foundation. The grant funds will help improve accessibility and remove potential barriers at City Hall, Delta’s Seniors Centers and recreation facilities. In addition, Delta will be undertaking a $1,000,000 project to install an elevator and other modifications centered on improving accessibility at the South Delta Recreation Centre. 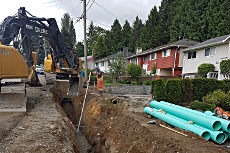 Public Works includes maintenance services for water and sewer systems, roads, street lighting, signage, horticulture, boulevards, street cleaning, and snow and ice control. Public Works also provides support services for numerous municipal special events, filming and utility based permits. The Engineering Department responded to more than 17,000 service calls, 1,300 Talk to Delta inquiries, approximately 8,000 BC One Calls, and 100 film permit requests for 365 days of filming in 2018. Move the slider to adjust your property tax funding for Public Works. The Parks Department maintains and manages 140 parks, reserves, and green spaces in Delta, totalling over 1,500 acres. 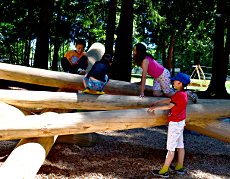 The park and trail systems include features ranging from picnic areas and playgrounds to water play parks, sports fields, boat launches, bike tracks and skateboard parks. The Parks Department also looks after the maintenance and management of Delta’s cemeteries. In 2018, enhancements at both the Boundary Bay and North Delta locations added elements to beautify the cemeteries and increase capacity. Move the slider to adjust your property tax funding for Parks. Delta is bordered by more than 63 kilometers of dikes and seawalls, which protect the community from high water levels on the Fraser River, Boundary Bay, and Georgia Straight. This section maintains Delta’s ditches, channels, pipes and flood boxes, and operates 34 drainage and irrigation pump stations throughout the community. Move the slider to adjust your property tax funding for Drainage, Dikes and Irrigation. Community Planning and Development assists in shaping the community by preparing and implementing plans and policies relating to the use of land, health, safety and welfare of residents, and by managing growth and development. This division also provides recommendations to Council on applications for land development. Community Planning and Development undertakes a number of studies each year on key planning and policy items as directed by Council. Studies planned for 2019 relate to research and development of a housing action plan, area plan updates for select areas, and a community amenity contribution policy review. Move the slider to adjust your property tax funding for Community Planning and Development. The Property Use and Compliance Division is responsible for the enforcement of Delta’s Bylaws related to property use, business licencing, secondary suites, agricultural soil deposit permits, parking enforcement, and the annual Parks Patrol Program. 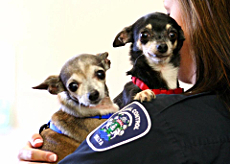 This division also provides animal control and licencing services through the Delta Community Animal Shelter, where staff and volunteers provide care and adoption for hundreds of surrendered, abandoned, or mistreated animals. In 2018, over 28,000 permits, licences, calls for service, and enforcement notices were administered by this division. Delta’s Bylaw Division responds to calls 7 days a week, with inspectors cross trained to deal with both property use and animal control issues. The Delta Community Animal Shelter coordinated care for 560 animals, averaging 22 days at the shelter and involving 395 visits to local veterinarians. Move the slider to adjust your property tax funding for Bylaw Enforcement. This category relates to the general support of city activities, including costs of city administration and contributions to operations of the regional library system. Delta provides social service funding for programs such as extreme weather shelters, youth support and counselling, and addiction recovery. Stay connected! Sign up for Delta’s Community Update newsletter to stay up to date with important news, parks programs, initiatives and more. Generally speaking, how would you rate your overall level of satisfaction with the quality of services provided by Delta? Thinking back over the past 12 months, would you say that the quality of services provided by Delta has....? The new provincially legislated Employer Health Tax will result in the application of a health tax of 1.95% to the payroll of employers. Delta’s proposed 2019 draft budget incorporates an increase of approximately $1.5 million to provide for this health tax which translates to a 1% property tax increase.